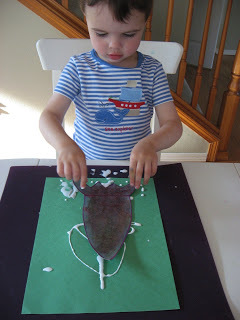 When I ask my son what he wants to do for art projects he has 2 answers this week – “Rockets” and “Dinosaurs” . 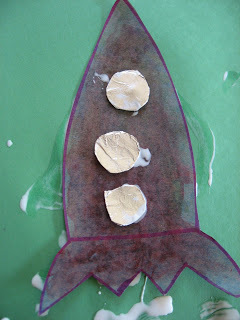 The Dinosaur will be posted next week, this is our newest version of a rocket craft. I added in some different textures to add a layer of learning, and exploration. 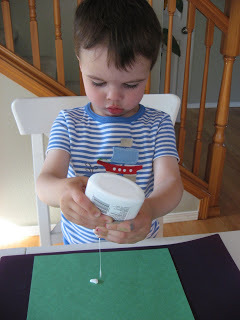 My son loved this craft I hope you have fun making it! Gather your materials. 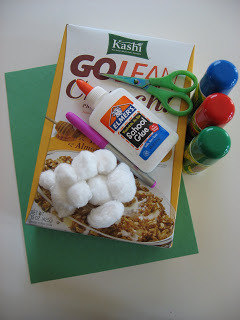 You will need some heavy paper or an old cereal box ,one sheet of construction paper, some paint or markers, a little aluminum foil, scissors , glue and cotton balls. Start by cutting your cereal box open and drawing a rocket on it. Simple is fine! Also draw some circles on the side for windows. 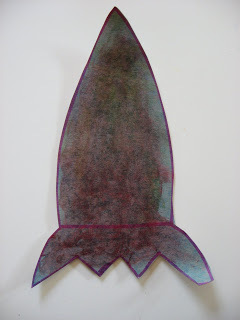 Have your child paint or color the rocket. 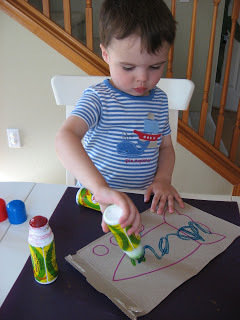 I like these paint rollers because it limited the paint for quick drying, couple that with the little hands that finger painted it after and it dried fast! 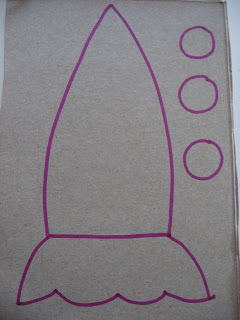 Cut out the rocket and the circles. 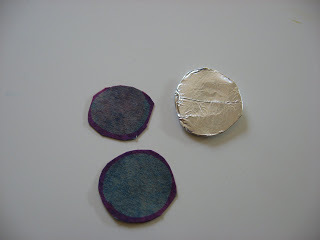 Cover the circles in aluminum foil. 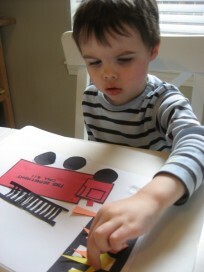 Add glue to the construction paper. 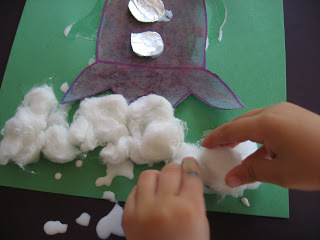 Add the cotton ball “smoke”. Let dry. so count with all your might! 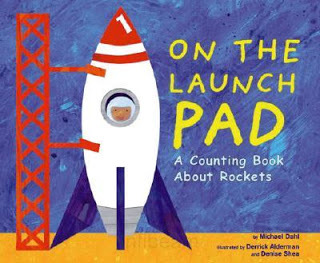 “On The Launch Pad : A Counting Book About Rockets” by Michael Dahl was a great find, my son loved counting down from 12-1 with the bright illustrations , simple text and hidden numbers on each page. Something that seems simple but was really awesome was that each page had the number written as a word, shown as a digit and as dots to count. You can take the time to count each dot, read the word or simply recognize the digit! 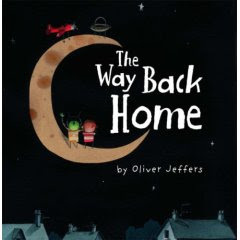 “The Way Back Home “ by Oliver Jeffers is a moving story about a boy , a martian and the moon they were both stuck on. Together they figure out a way to get back home even though they are so sad to say goodbye to each other. I love this author, I love his illustrations as well, they are so unique and the emotion he manages to convey is amazing. There is an illustration of the boy and martian standing awkwardly before they have to say goodbye and it embodies the emotion. Grab anything written by this author and you will be happy! 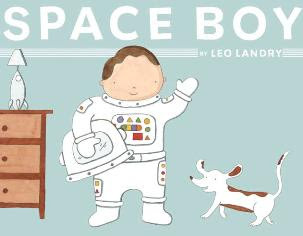 “Space Boy” by Leo Landry is a sweet book about a little boy who needs to get away from everything at home so he climbs in his rocket and blasts off. I think we can all relate to this story, having to escape from the annoying things in our life for some alone time, if only we all had rockets the moon would be a busy getaway. The book started off really simply , then a few pages in the middle had much more text which was hard for my toddler, who’s interest was lost. I rounded him back up , skipped a few lines and we finished and enjoyed the book. oh so cute. My Noah will love doing this one. I love your video freeze frames 🙂 There's also a Harold and the Purple Crayon one about going to the moon (Harold's Trip to the Sky). Does your son like the Harold books? Mine doesn't yet, but I loved them when I was little. The freeze frame gods dislike me – they always end up is the most ludicrous frames. That video is like a year old, but we've been singing that song a lot lately and I was too lazy to re video it. I haven't tried Harold books with him yet, but like you I LOVED them as a kid. I'm going to read it to him tomorrow and see! Wonderful activities with ample opportunities for skill practice and fun, engaging learning. 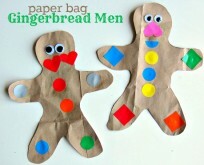 I can't wait until my little man (12mo) is old enough for these fun projects! This is truly awesome. 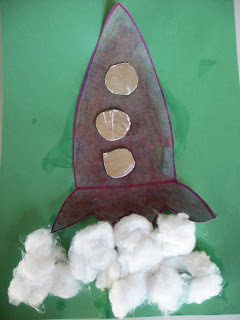 I am definitely going to use this craft in "space" theme.